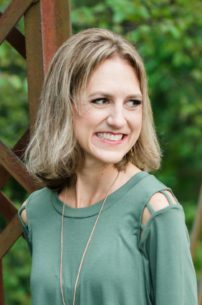 Luke’s sister, Amanda, is getting married this Sunday! Charleston, Luke, and I are all in the wedding and we are looking forward to helping Amanda celebrate her special day. 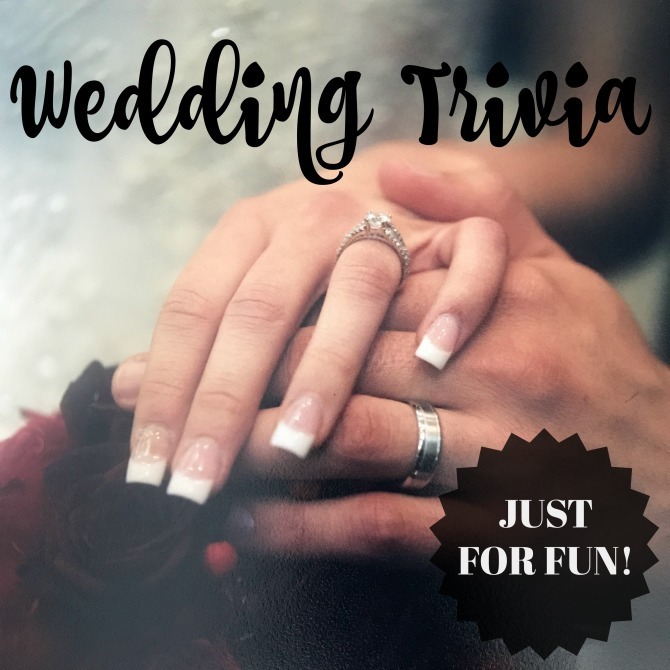 Since I’ve got weddings on my mind, I thought it would be fun to look into some wedding history and trivia. Weddings are such a prevalent part of modern culture, but we rarely stop to think about the backstories of the numerous wedding traditions. I learned so many fascinating tidbits when compiling this list. I hope you find it interesting, too! 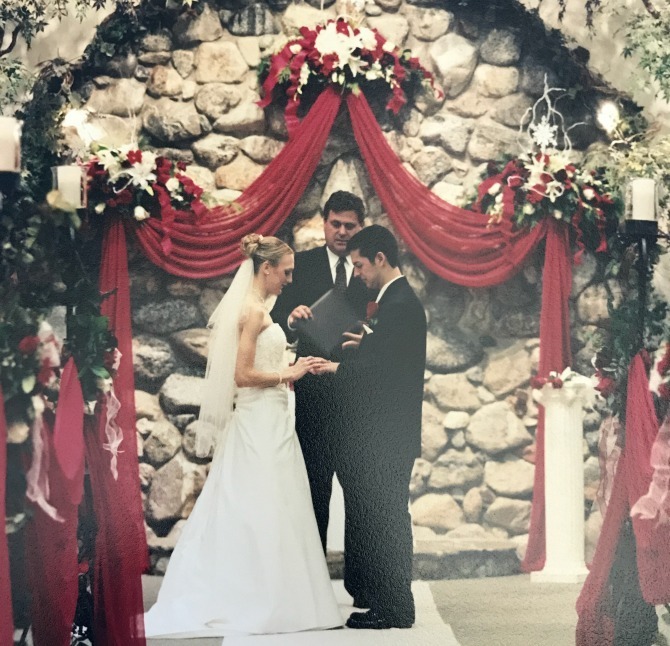 I couldn’t resist including some images from my own wedding; I actually had to bust out our wedding album and use my phone to take pictures of the photos, because we were married in the Stone Age (2008) and didn’t get digital copies of wedding pictures! 1. The tradition of wearing engagement and wedding rings on the fourth finger of the left hand comes from the Roman belief that the vena amoris, or vein of love, led from this finger directly to the heart. 2. The custom of giving engagement rings goes back as far as the Ancient Egyptian period. Engagement rings were given as a sign of financial commitment: men gave rings to women to signify that they could support them financially. 3. The tradition of the groom also wearing a wedding ring only began during WWII, when men began wearing rings to remember their wives back home. 4. December is the most popular month for buying engagement rings, with approximately 15% of couples getting engaged during the holiday season. 5. The most frequently selected style of engagement ring is a round cut brilliant diamond ring, closely followed by a princess cut. White gold and platinum are the most popular metals (73% of rings are made of white gold). 6. Queen Victoria began the white wedding dress trend in 1840; before that, a bride just wore her nicest dress for her wedding day. 7. The tradition of matching bridesmaids’ dresses dates back to Roman times, when people believed evil spirits would attend the wedding and attempt to curse the bride and groom. Bridesmaids wore dresses exactly like the bride in order to confuse the spirits and bring luck to the marriage. 8. The tradition of a bride wearing “something old, something new, something borrowed, something blue,” comes from an Old English rhyme. Something old represents continuity with the past; something new offers optimism for the future; something borrowed symbolizes borrowed happiness; and something blue stands for purity, love, and fidelity. 9. The tradition of a wedding cake comes from ancient Rome, where guests broke a loaf of bread over a bride’s head to promote fertility. 10. Sugarcoated almonds that are served at weddings are meant to represent life (symbolized by the bittersweet taste of the almonds) and hope (with the sugar coating added in the hope that life will be more sweet than bitter). At Italian weddings, five almonds signify five wishes for the bride and groom: health, wealth, happiness, fertility, and longevity. 11. 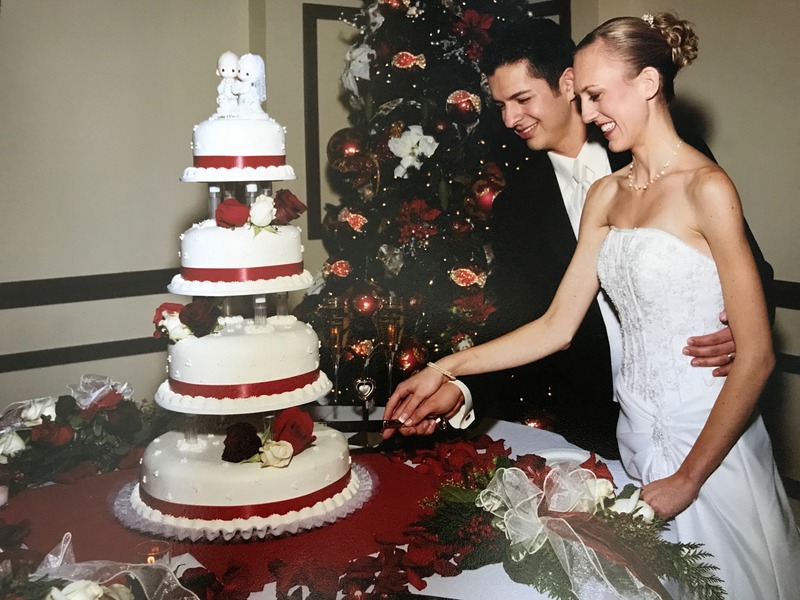 The custom of a tiered wedding cake emerged in medieval times when bakers would stack individual cake layers as high as possible for a couple’s wedding dessert, and the newlyweds made a game of trying to kiss over the top layer without knocking the cake over. 12. In Sweden, a bride puts a silver coin from her father and a gold coin from her mother in each shoe to ensure that she’ll never do without. 13. In Holland, a pine tree is planted outside the newlyweds’ home as a symbol of luck and fertility. 14. Chinese brides typically have three wedding dresses: a slim-fitted, embroidered dress for the ceremony; a Western-style wedding dress for the reception; and a cocktail dress for the end of the evening. 15. In Peruvian weddings, the cake is typically assembled with ribbons attached to charms, with one fake wedding ring embedded into the center. The single lady who is served the slice of cake with the fake wedding ring is crowned the next to get married. 16. In Pakistan, the bride’s sisters and cousins steal the groom’s shoe and demand a ransom for its return. 17. As of 2016, the average US wedding cost just over $35,000. 18. The average ages for a bride and groom in the United States are 24.5 years and 26.5 years, respectively. 19. The average wedding gown in the US costs $1,000. 20. An average wedding has 178 guests. Do you have any fun wedding memories or stories to share—either from your own wedding or one you attended? I’d love to hear about it! And I’m sure you’ll be hearing more from me about our upcoming wedding festivities (and hopefully a positive report on the performance of our little Ring Bearer—we’re a bit nervous about how that will go, so send positive thoughts our way this Sunday! ).